Such a NICE Apartment…with, Right Location, Right Price, Unique Colors of this daily apartment will make you feel at home but not homesick. 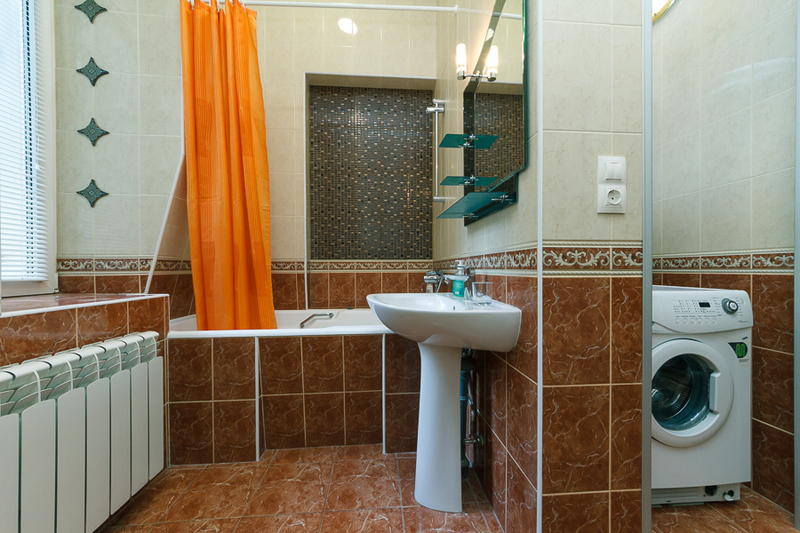 A comfortable two-room (one-bedroom) apartment well suited for a small family or group visiting Kiev. 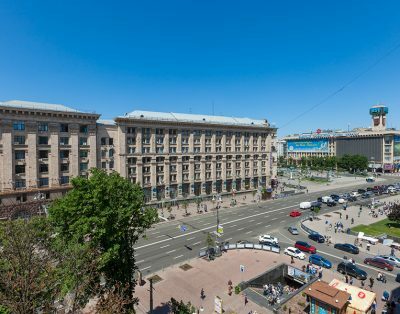 This Kiev apartment offers guests high standards in an excellent location at a reasonable nightly rate. 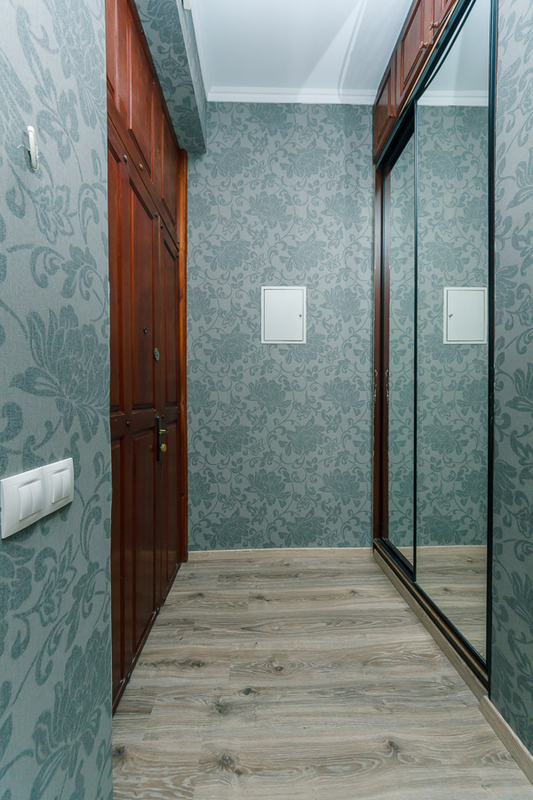 The Kiev apartment is situated on 3rd floor serviced by an elevator. 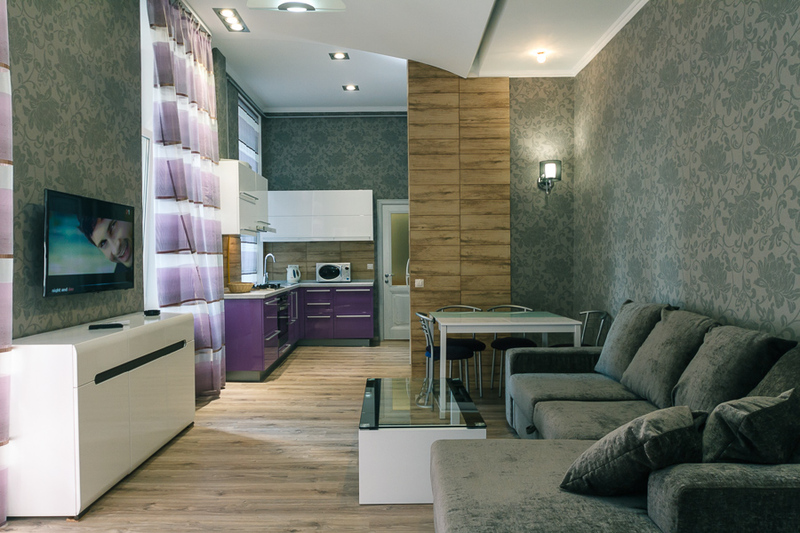 The Kiev apartment faces street and has noise prove windows.The Kiev Apartment bedroom has a king sized bed, the living area also has fold-out sofa. The living room features the sofa bed, a dining table with chairs and an armchair. 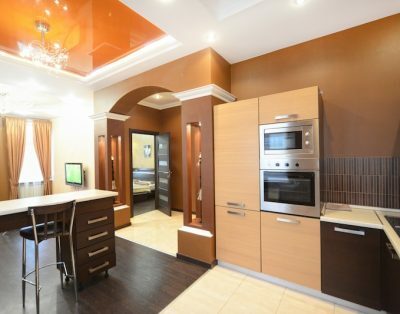 KievApartment is perfect for a family or small group of 1 to 4 persons. 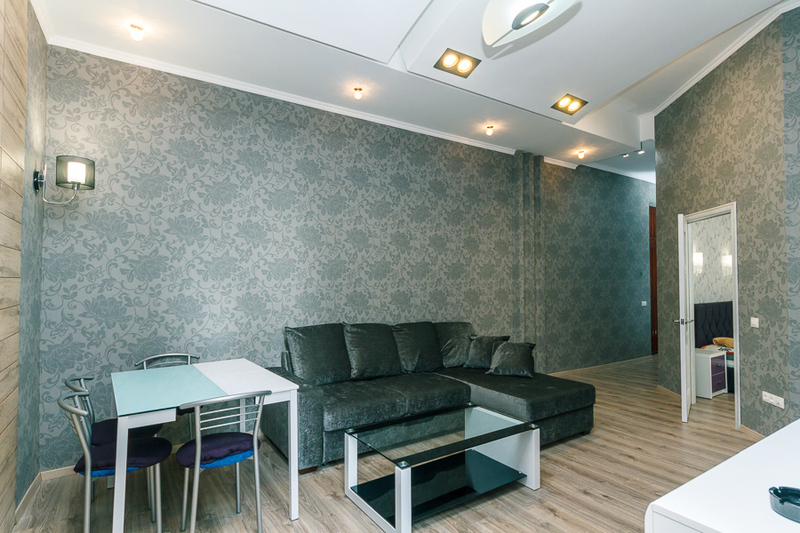 This quiet Kiev apartment is well appointed and functional, with good quality and newer furnishings to ensure a pleasant stay in a comfortable, quality environment in the very center of historic Kiev. When you locate your apartment and get to know the location you will be amazed how central it is and yet how quite the street and apartment. Windows facing the park. Yes the little park right in the city center with little fountain. Kiev apartment is warm and cozy. not too big but just right to have guests over and yet keep your privacy. 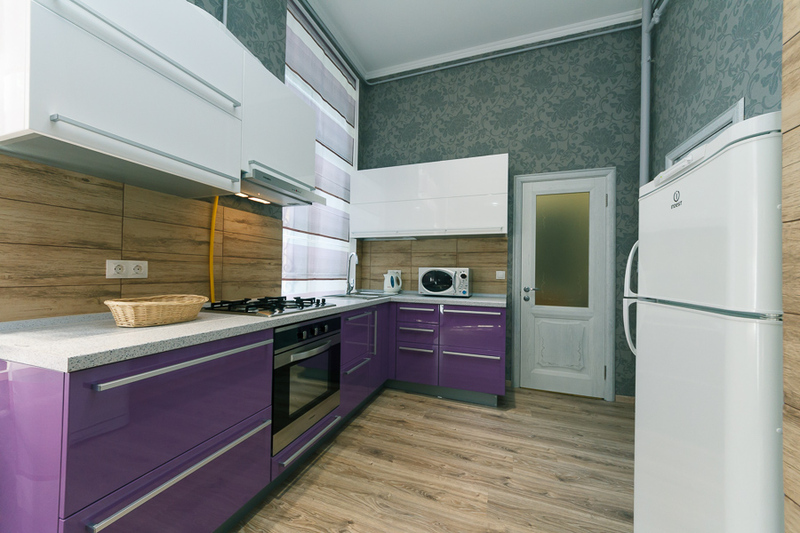 Fully stocked kitchen will help you to make your favorite breakfast or just a coffee to enjoy the day in Kiev. Grocery stores are right on the corner as well as many many coffee shops. With many coffee options and pastries that each store is proud of. Please check with us about our transfer services that we provide with our english speaking staff drivers. We will be happy to provide airport transfers or city tours for you during your stay with us.